Home F1 Italy: "Ferrari must stop protecting Captain Vettel"
The main media censor the team orders that the Scuderia used in the Chinese GP to favor the four-time champion. Only three races have been disputed in the 2019 Formula 1 World Championship, but and there are several alarms that have been ignited in the factory of Maranello. And not the color that would like to Mattia Binotto, main responsible for the Scuderia. 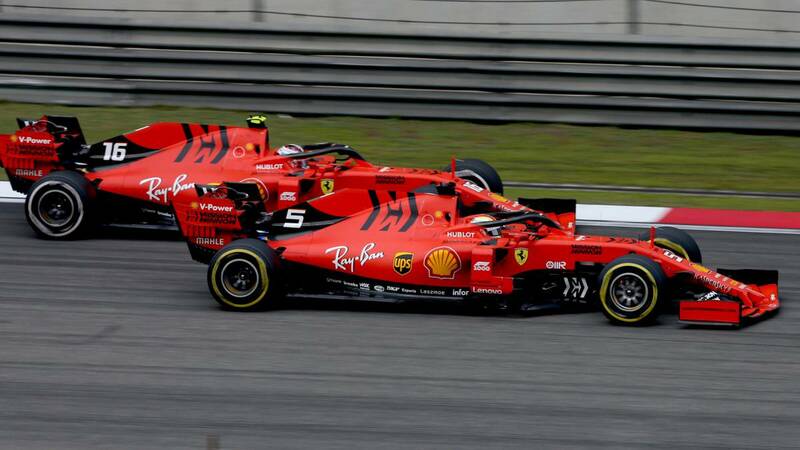 Because a reliability problems suffered by the SF90 in the Grand Prizes of Australia, Bahrain and China, begins to join the tenacity exhibited by Charles Leclerc, that has forced Binotto to run and three orders of equipment to favor the figure of Sebastian Vettel. One mandates that the Monegasque has only tolerated in Albert Park. Because in Sakhir he overtook Vettel at the first opportunity he had, at Although the disposition was to remain behind the German, and in Shanghai he questioned hard on the radio the order to be overtaken by the four-time champion. Recently, this last thought of Leclerc is shared by the main Transalpine communication media, who ask the engineer of Reggio to stop protecting the four-time champion and promote the figure of the young pilot of 21 years if he wants to defeat Mercedes. 'La Gazzetta Dello Sport ': "Ferrari climbed to the podium with Sebastian Vettel, who did not have the pace to attack his rivals, overtaken by Leclerc, who finished fifth behind Max Verstappen, Seb was helped by an election from the It was a wall that supported him more than the Monegasque, an action that the young pilot continued to point out on the radio, and this will undoubtedly open up more discussions, partly because the strategy practically forced Charles to lose an additional position ". 'Corriere della Sera ': "Maybe it's better that at Ferrari they quickly understand that they have hired the right driver, Cha Leclerc, and that they must stop protecting Captain Sebastian Vettel. The overtaking on the eleventh lap was kindly granted by Ferrari to Vettel, without any courtesy, with the anger more than justified by his partner who digested the order, because he was removed from the podium and forced into a depressing fifth place. " ' Il Messaggero ': "A little help to the German came from the pits on the eleventh lap, when the men of Maranello ordered Leclerc to let Vettel pass, who at that moment had better pace, to try to stop the escape of Hamilton . The Monegasque did not hide his disappointment in a subsequent communication by radio. Then, Ferrari delayed the second pit stop of Leclerc, making it impossible to reach the fourth position "
'La Repubblica ': " Maybe we have to restore certain priorities. The new Monegasque red star, who had overtaken his captain at the beginning, was executed politely from the wall on lap 11, asking him to step aside and let Sebastian pass. Then, a second late pit stop prevented him from attacking Verstappen and eventually losing a position and valuable points. An order that was imposed, perhaps to motivate Sebastian, but that was not as effective as expected. Was it worth it? " 'La Stampa ': " The German, at least, won his first podium of the season and climbed to fourth place in the World Cup, but for those who have not won for 11 races, this it is only a small consolation. Ferrari's ambition is to stop the Mercedes dictatorship, but time is running out. For Ferrari China is still a taboo. Actually, Vettel's pace was not so high that Ferrari asked Leclerc to let him pass. There are already 31 points that take them away from the Championship ".